PIMCO’s Mohamed El-Erian says there is about a one-in-three chance that the global economy enters recession by the end of the year. 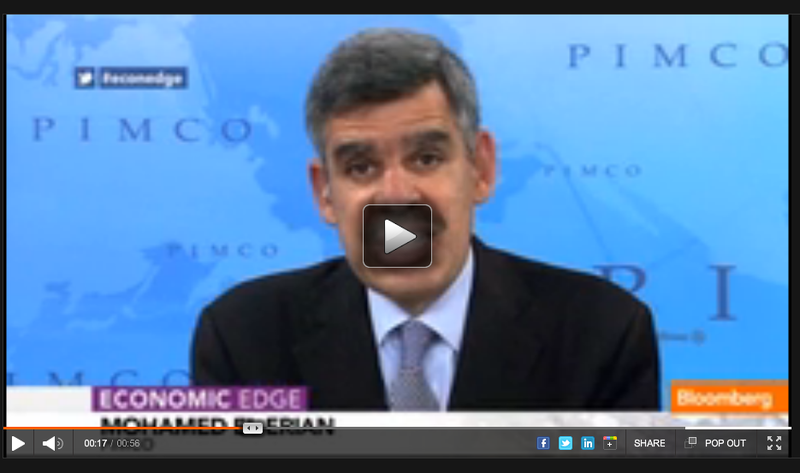 “Every data point that comes out tends to confirm the synchronized slowdown,” El-Erian tells Bloomberg TV. “Wherever you look, this is a sluggish global economy.” He says that sluggishness makes the global economy more vulnerable to shocks, and says that if a shock occurs the chance of recession will increase significantly.